UAE’s Vision 2021 is one of the most impressive visions to have ever been published by a country. The only thing more impressive than the ambitions of this vision is how successful the implementation of the project has been since it was announced. While the infrastructure of the UAE has always been excellent, there has always opportunities to improve life even more for the local populace, and that is essentially what Vision 2021 aims to achieve- to make the UAE one of the most significant, resourceful and efficient places on the planet. UAE had been on the global map for many years as it continued to innovate, break records, and improve its global competitiveness rankings year after year. The World Economic Forum’s global competitiveness report ranked the UAE 17th and singled out the country’s economy as significantly more diversified than other GCC states. However, in this latest ranking, the UAE had actually slipped five positions from last year’s 12th. The drop is due to the new availability of an indicator on tertiary education, which led to a significant drop in the assessment of higher education and training, as well as a perceived need to strengthen its capacity for innovation by upgrading scientific research. Despite a minor drop, the UAE need not worry as Vision 2021 is working to eradicate any hurdles that face the country. In 2010, H.H. Sheikh Mohammed bin Rashid Al Maktoum, Vice-President and Prime Minister of the UAE and Ruler of Dubai, announced Vision 2021 at the end of a cabinet meeting. He laid out plans for the future of the country, and the UAE has always been impressive when it comes to accomplishing its long-term and innovative plans. The overarching ideology is to transform the UAE into a country that is more prosperous and more valuable as a society. The UAE has been rapidly making innovations to rival other countries for a long time; but now, it is planning to leapfrog them instead. The UAE has no desire to emulate more developed countries; it instead is aiming to become the perfect example of a modern developed country. The vision is most impressive because it embraces the past of the UAE, whilst looking at what steps are needed for continued improvement. The government has made it clear that they are very proud of their history and accomplishments, and that the new vision is about taking the country straight into the future. One of the most important things about the Vision 2021 is the inclusive aspiration to respect the culture and all of the inhabitants of the country. It was interesting that this was the first and the most prominent theme chosen for the vision because it reflects the all-encompassing ethos.What the government has made clear is that they will not be leaving anyone behind in the name of modernism.The vision they have for the future includes all Emirati citizens and all must work together to succeed. This includes making more people involved in the decision making process so the society is shaped by many as opposed to a few. The vision doesn’t just outline that all Emirati citizens will make the future; it also focuses on everyone being able to partake in the fruits of their labour. The vision aims to have a balanced growth- not one that will result in inequality. This means focusing on projects all over the UAE, and ensuring that developments are made with all of society in mind. It also means increasing the national standing of the country culturally. The UAE is known for its beautiful building and lavish hotels, but the vision plans to also improve upon local philosophy and culture as a whole. The UAE will now grow focus on ideas, not just its infrastructure. 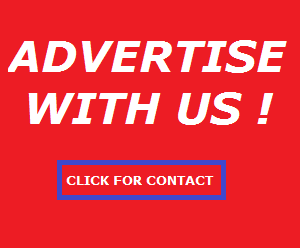 This means increasing the contributions of the locals in the world of art and media. The vision also makes it clear that education is the way of the future. By educating the local populace and increasing opportunities for higher education the UAE government aims to distribute prosperity equally in the country. The UAE also needs entrepreneurs from its own country who are willing to innovate and creatively grow their companies. All of this will need to be implemented for the UAE to become one of the globe’s leading knowledge economies. Focus is also being put on the diversification of the higher education system. By ensuring that even the lowest economic classes can reach the highest educational classes, the UAE government aims to create a country built upon the foundations of equality. The UAE government aims to increase the living standards of all of its population. There will a focus on creating a sustainable environment, better schools, better public services, and an e-governance framework as well. The aim is to use the great resources of UAE to create a sustainable economy that can keep growing. Relying on traditional methods of earning is no longer enough, diversifying sources of income and diversifying the recipients of the income is the next step to a better society. While the Vision 2021 is a country-level vision, there are other area-specific plans as well. In Dubai, home of the World 2020 expo, some of the most ground breaking and innovative projects are under way with the aim to become one of the best cities in the world. 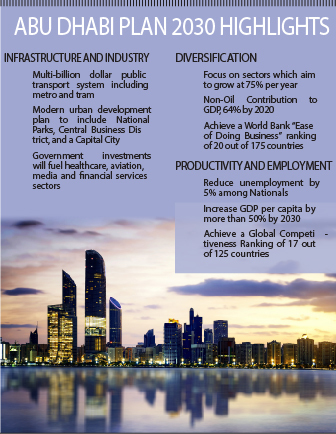 In Abu Dhabi, the government aims to be among the top 5 governments in the world. With a continuous push for excellence in government performance led by the countries’ leaders, a competitive environment has been nourished that is driving a positive trajectory towards excellence. Abu Dhabi’s plan is one of the most impressive strategies we have seen for any cities.The only country with a comparably awe inspiring plan is Paris’s 2050 vision, and that will be realised twenty years after Abu Dhabi has done it.The most impressive part of the plan is how detailed and rooted in reality it is. 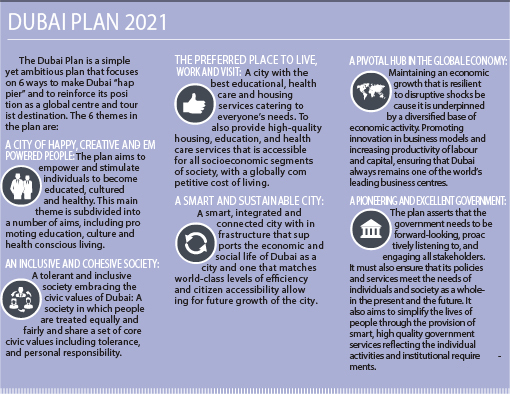 The plan analyses the current realities of Abu Dhabi and gives directions to improve them. This includes creating a sustainable environment and economy that will increase the living standards of the locals. It details even miniscule points, like which areas would ban tall buildings to preserve views, and divides Abu Dhabi into districts so they can be improved. We now stand more halfway between the time when the plan was announced and when it is supposed to be completed. During this time, many projects have been completed with improvements already made. A great example of the way the government aims to take the UAE forward is the DEWA’s Sustainable Building that was completed in 2013. It is the most economically sustainable government building in the whole world. The government aims to include similar green directives in every building it constructs going forward. Al Fahidi Souq market, which was completed one year after the DEWA building, had the same sustainable elements in it, and was the world’s first commercial green construction. One problem the UAE has faced over the years is air conditioning. The summers are hard and during peak times in summer, air conditioning can account for as much as 70% of the total energy usage. In order to combat this, the UAE has started to focus on inventive district chilling initiatives. These are systems that use natural cold water to bring down the temperature in buildings. They use very little energy compared to normal air conditioning systems and are being highly promoted by the government because of this. The innovative technique has already been implemented in many of the buildings across the UAE.